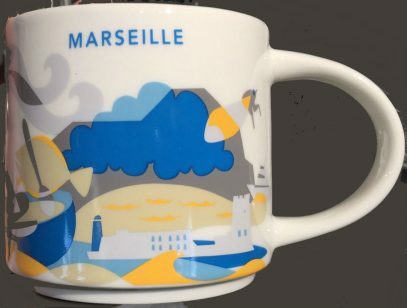 Anyone wondering why am I singing La Marseillaise? Guess what? 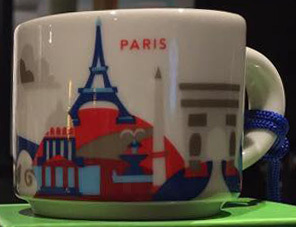 First European country YAH – France was released this week. 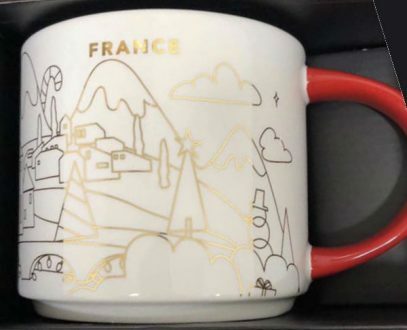 Someone won’t agree but I think this mug is really beautiful. 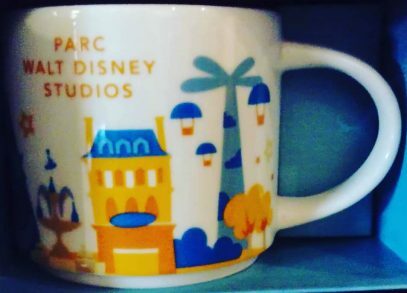 I really love dark blue mugs, in first place, but this one is special. 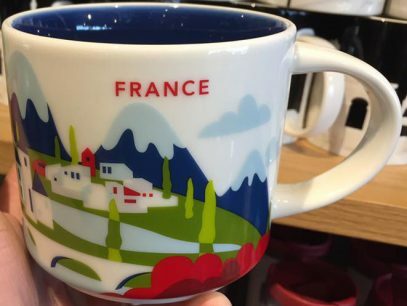 Mountains, Mont Saint-Michel, grapes, cheese and wine (back of the mug) – all you need to know about France (according to Starbucks). 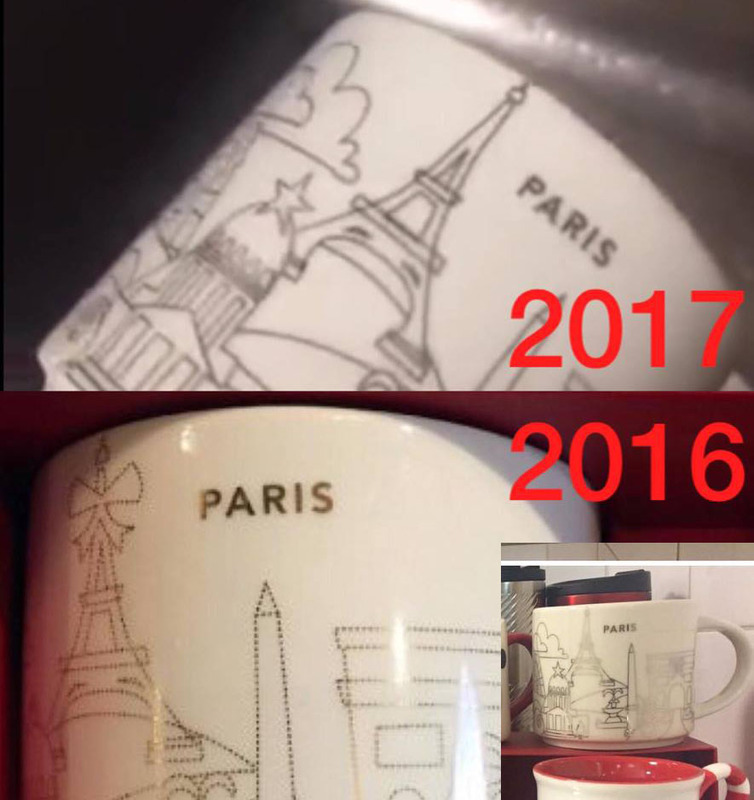 Latest news from France! 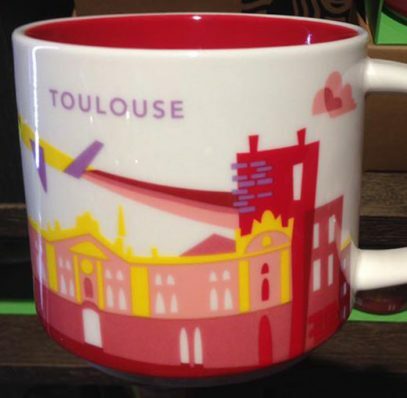 Tomorrow, October 21, Starbucks will be releasing new mug from You Are Here series – Toulouse. 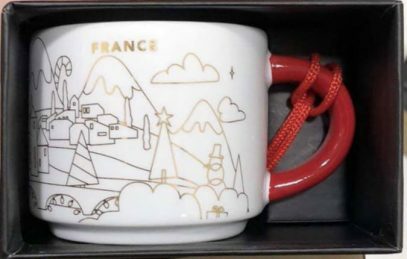 This is the fifth YAH mug from France, not mentioning the latest YAH Christmas release. 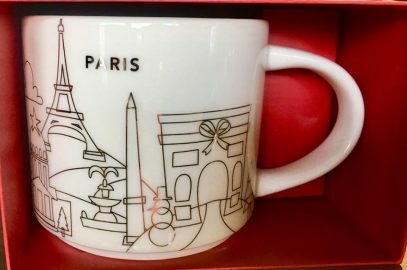 Arc de Triomphe de l’Étoile – stands in the center of Place Charles de Gaulle and is one the most famous monuments of the city. 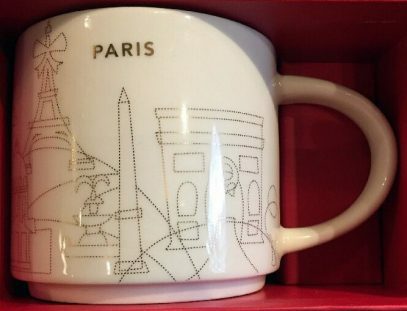 It was recently reported that Starbucks issued the new mug for France. 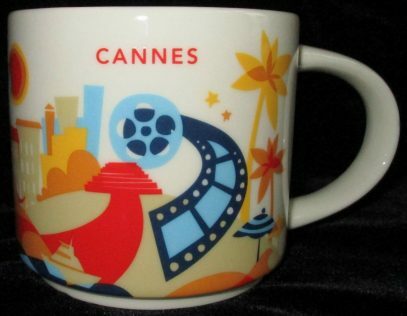 This time it’s Cannes – a beautiful town on the south of France, well knows for its international film festival.